My new short story is now live on Amazon Kindle. ‘What’! 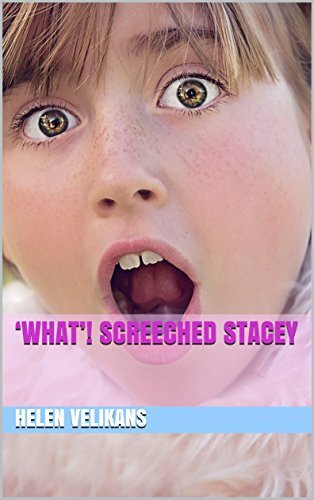 Screeched Stacey is designed to be a good laugh for girls – particularly those with brothers!. Stacey stood watching as Dad and her brothers tied a long metal ladder and wooden planks to the top of the truck. ‘I’m sorry’, said Dad, laughing and patting the top of her head, ‘but girls can’t do this’. Frowning, Stacey couldn’t think of ANYTHING that girls couldn’t do. Not a single thing! I am very excited to announce that the e-book is now live! Just waiting for the final proofs for the paperback before that goes live too. As always, I would appreciate honest reviews, particularly since I plan to make this into a series – feel free to post your ideas about this on Facebook or in the comments section on this site. I have played around with these and various other covers for my new book and I’ve lost perspective. I have narrowed it down to 3 and would welcome any suggestions, changes and comments about which would be the better fit. The book is aimed at early readers ( grades 1 – 3 ) or 7 – 9 year olds. The setting is that of a weekend fair/fete/festival with extended space for families in caravans and tents stay for the duration of the event. There’s the usual rides, food vans, games, exhibitions etc. The general plot: Tommy and Emma try out the various rides and activities with Tommy getting into trouble/scrapes along the way. Then everyone is horrified when a young child falls down a crevice/hole too small for an adult to help her. Tommy’s always in trouble! He just doesn’t think about how things might turn out before he does them. So when Tommy tells Emma that he’s going on a secret trip, she wonders what he’s up to. This subject will include : a General Overview, course Outcomes, Module 1 ( Paper-based Materials ) comprising 3 sections and Module 2 ( Reading from a Picture Book ) comprising 6 sections. All subjects will include : Activities, Other Resources, Templates, Q & A Opportunities and options for student/trainer contact where appropriate. Opt-in to get in on the ground floor for Early Bird Rates and Resources. Please add your email above to stay in touch and be in on the ground floor of EARLY BIRD rates on new Online Courses and FREE content opportunities. A New Venture and a Unique Trip Down Memory Lane! Just finished my first junior fiction novel and what an experience it was! Based loosely on real life, I guess you could also say that the process also acted as a kind of personal as well as literary therapy. It was certainly a delightful walk through the past, something I usually tend to avoid – although I’m now at a loss to say why. 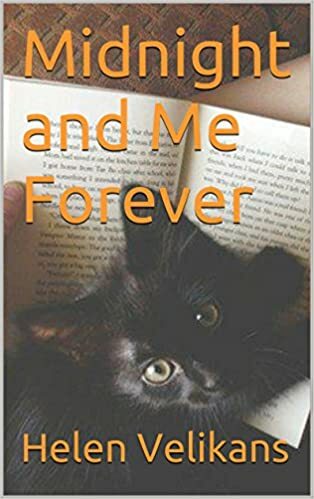 For those wonderful people who took the time to assist me with naming my literary cat, I have established a free kindle download period starting on Monday, 5th of October and running for 5 days. Please take a look at what you all helped to create – plus I would appreciate it if you would leave a review for the book on Amazon. So! I am very proud to present ………..
‘Merry Christmas’! The box Mum was holding was bare, no brightly coloured paper, no ribbons, no bows, not even a card. Just a plain cardboard box.